If your commercial water heater isn’t functioning like it used to, it may need repairs. Front Range HVAC provides high-quality, cost-effective, and reliable repairs on commercial water heaters of every size, make, and model. We are Colorado’s premier HVAC technicians with a knack for diagnosing even the most stubborn commercial water heater issues before performing the required repair work on time and within budget. 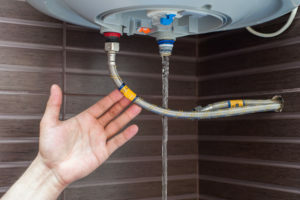 If you’ve been shopping for a commercial water heater repair company to work with, you’ve probably located at least a half-dozen different service providers. They all may seem to be on equal footing with each other, but there are some things to look for when you want the very best in the business. What separates Front Range HVAC apart from the pack is our three-step approach to performing commercial water heater repairs. This approach leaves nothing to question, and the result is a functional, effective water heater that does its job the way it was meant to. Step 1: Perform an on-site evaluation of the commercial water heater to determine what repairs are needed. This step often involves the use of specialized tools and equipment needed to check for basic operation within certain tolerances. Once we’ve determined what the issue is, we move on to step two. Step 2: Schedule the repair work at a date and time that works best for your schedule. We realize that water systems within commercial buildings cannot be interrupted for longer than is necessary. To reduce downtime, the commercial water heater repair window is scheduled at the most convenient time for you. Step 3: Test, validate, and commission the repaired water heater. After the repairs are complete, we run a series of tests to ensure that everything is functioning as it should. Once we have confidence that everything is running well, we sign off on the completed job, and you’re back in business! After performing complicated commercial water heater repair work in Colorado for the past 20 years, we’ve learned what works and what doesn’t. We’ve also learned what’s most important to our customers, and we always strive to achieve a 100% satisfaction rating on every commercial water heater repair project we complete. When you’re ready to schedule step one as it’s listed above, contact Front Range HVAC by calling (303) 942-1372. Let’s get that commercial water heater back in action!